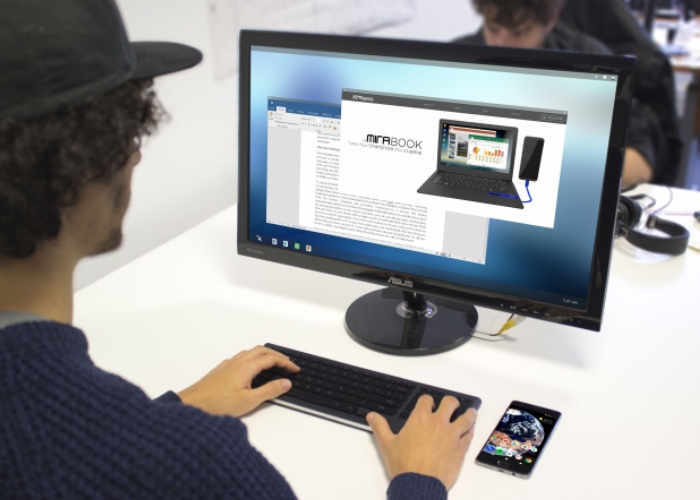 Auxens and French startup Miraxess created a new application called OXI that is capable of transforming your Android smartphone into a desktop PC. The OXI application will soon be made available via the Play Store, hopefully during January 2018 and is currently in the final stages of developed by Auxens. The application will be free to download onto your Android smartphone although some features will require in app purchases. With the OXI app, your smartphone becomes your computer, giving you access to all your data and apps on any screen: TV, tablet, PC, laptop, etc. Whether you want work while out of the office, or use your apps at a friend’s house, just connect to a screen (by wire or wirelessly) to enjoy your personal or work-related digital world – all while being able to use your smartphone! For more information on the OXI app jump over to the official Auxens website by following the link below.